GoodHire delivers a quick, simple and efficient background check experience for you and your candidates. 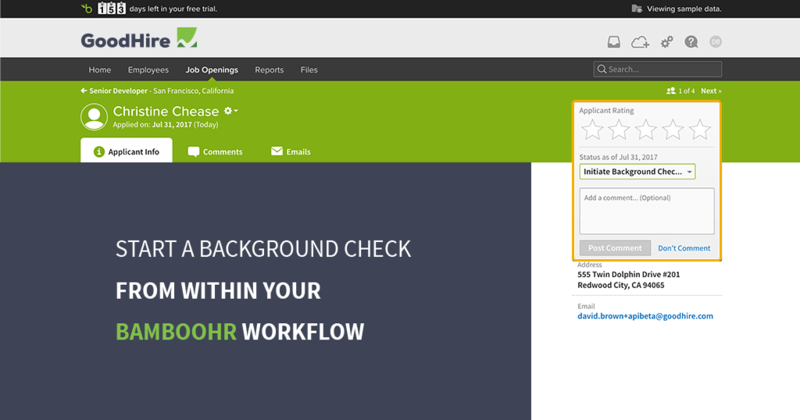 From within BambooHR, employers identify which candidates need a background check. 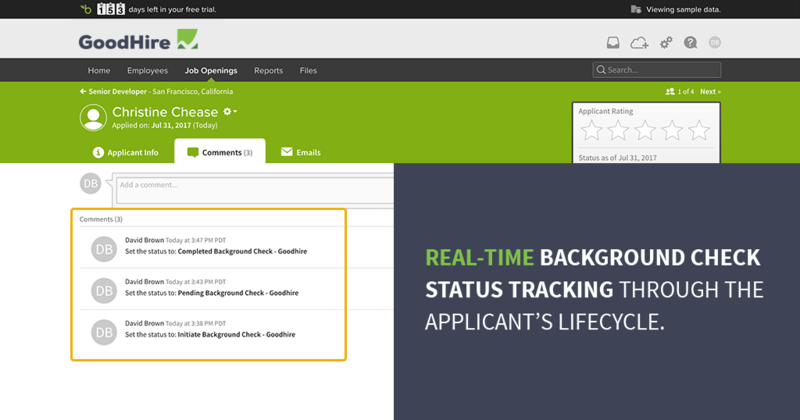 Background check orders are automatically queued for processing on the GoodHire platform, with the candidate's legal name and address already pre-filled. 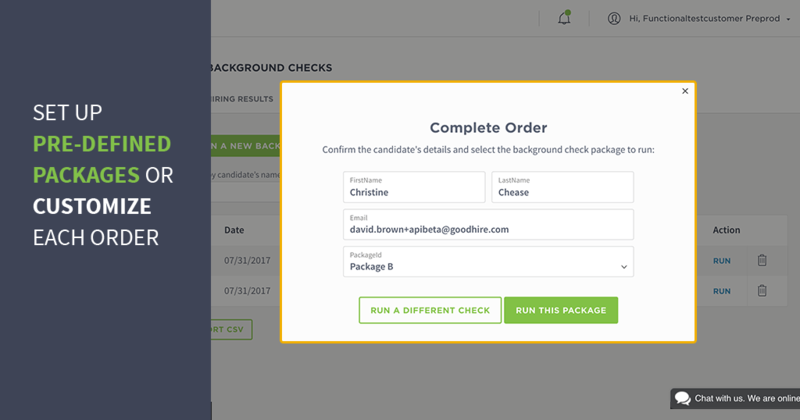 Once the check is ordered, GoodHire's candidate self-complete flow handles gathering of all remaining personal information and legal consent for the background check. 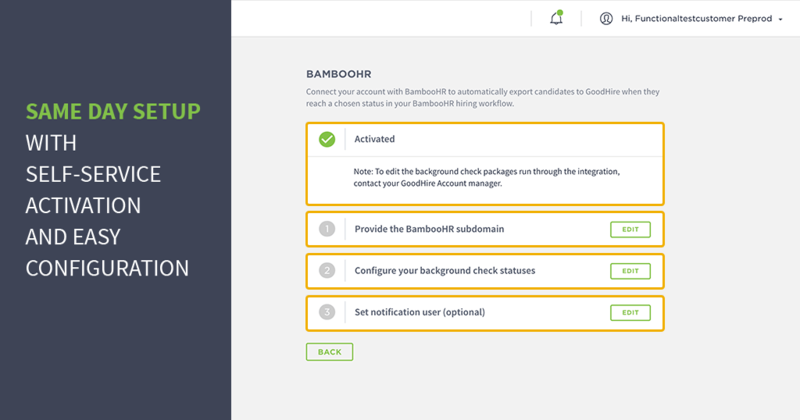 Your HR team can easily track the background check status from within the candidate record in BambooHR, and is notified via email when the results are ready. Applicant Email Email Address Each applicant must have a unique email. Applicant Status Background Check Status At a minimum, a status to initiate the background check must be setup in BambooHR and mapped to GoodHire. Additionally, a status for "in-process" and "completed" may be setup in BambooHR and mapped to GoodHire, though these are not required.